Original artwork from Georges Méliès's A Trip to the Moon. Recently, I wrote about how 2013 was the most honest year of my life. 2014 is about taking the next steps into the world of geekery. That's why I launched the Super Fantastic Nerd Hour podcast with H.A. Conrad and why I'm starting a new project here at Brain Knows Better. Starting today, I'm going to explore the psychology behind the greatest science fiction films of the 20th Century. I'll keep writing about new movies as they come out, but I thought it would be fun to revisit the foundational stories that make this genre so awesome. I'm going to move chronologically and start with the first science fiction film ever made – Georges Méliès's 1902 Le Voyage dans la Lune (A Trip to the Moon), a film that unravels how cinema works and highlights the elements of all successful science fiction movies. Early films recorded moments of daily life, like this Edison film of a man sneezing. At the beginning of the 20th century, cinema was still in its infancy. Most films were brief, non-edited scenes of daily life – crowds in a city, vaudeville performances, or if you were lucky, glimpses of a far off land or new technologies like the locomotive. Méliès started filming the same way by documenting life in Paris. But thanks to an accidentally jammed camera, he learned that if different scenes were stitched together your eyes fill in the blanks and experience the film as one continuous story. Méliès combined this discovery with his knowledge of magical illusions and created the first generation of cinematic special effects. Méliès's pioneered the use of film special effects. Méliès's "trick films" worked because our visual system has built in shortcuts for motion detection called visual persistence and the phi phenomenon. Why do these shortcuts exist? All of our senses are wired to detect change and ignore things that stay the same. Being able to quickly see movement really comes in handy when you're avoiding dangerous animals or hunting for food. Tricking your eyes into seeing motion isn't enough to create a good film though. Méliès pioneered film editing for the purpose of telling visual stories rather than just documenting reality. He wasn't the first to do so (see Alfred Clark's The Execution of Mary, Queen of Scots), but his films popularized cinema in a way no other filmmaker had ever achieved up to this point in history because Méliès created stories that could only be told in film. Thanks to neuroscience we now know that edited films like Méliès's lead to similar changes in brain activity across audiences. Edited films increase activity in areas of the brain responsible for vision, sound, language, emotion, facial recognition, and conscious thought. Even eye movements match up when a group of people watch an edited film. Unedited scenes of daily life don't have this effect – everyone’s brain reacts differently. So the more tightly you edit your film, the greater influence you will have on someone's brain. That's probably why film edits have become quicker and faster throughout the 20th century. A tightly edited narrative combined with stunning visual effects helped A Trip to the Moon become first international motion picture hit. The launch cannon from A Trip to the Moon. The plot behind A Trip to the Moon is pretty simple – a group of professors uses a giant cannon to launch themselves to the moon and then take a nap on the lunar surface, kill a bunch of moon aliens, return to Earth with a splashdown in the ocean, and celebrate their journey with a parade in the city. The story might sound simple now, but audiences back then loved it. We don't know much about the film's early reception (there's a story about how its first audience applauded for hours after seeing the film) but we do know the film was in high demand. So much so that negatives were stolen and pirated across the world. Nearly all of the copies shown in America were illegally duplicated by Thomas Edison and removed any mention of Méliès. Rival studios made similar films about trips to the Sun and Jupiter. Then there's “An Excursion to the Moon” which is a complete plagiarism of Méliès's work. Sadly, Méliès never saw any of the profits from the illegal duplicates of his film. What made A Trip to the Moon such a popular film? An innovative psychological study offers a few clues. Stephan Schwan and Sermin Ildirar were interested in understanding what happens when someone watches a video for the first time. They found a group of adults in remote regions of Turkey who had never seen a video before. The researchers studied their responses to watching edited films and compared the results with people who were more familiar with video. People who watched film for the first time understood the basics of what is happening onscreen but were confused by some of the editing and misunderstood details of the story. However, people who were familiar with the ideas of a video (cooking a meal, preparing tea, or transporting wood) could understand the story and weren't confused by the edits. People who had more prior exposure to video understood everything, even if they weren't familiar with the ideas in the video. To sum it up, the only way to fully understand a visual story is by either watching a lot of television and movies or being very familiar with the ideas in the story. For A Trip to the Moon, most of the audience didn't have much experience watching films, but they were VERY familiar with the ideas in this film. Jules Verne's From the Earth to the Moon, released 37 years before this film, had popularized the idea of space travel. H. G. Wells's The First Men in the Moon expanded on Verne's work by introducing a race of insect-like moon aliens called "Selenites". 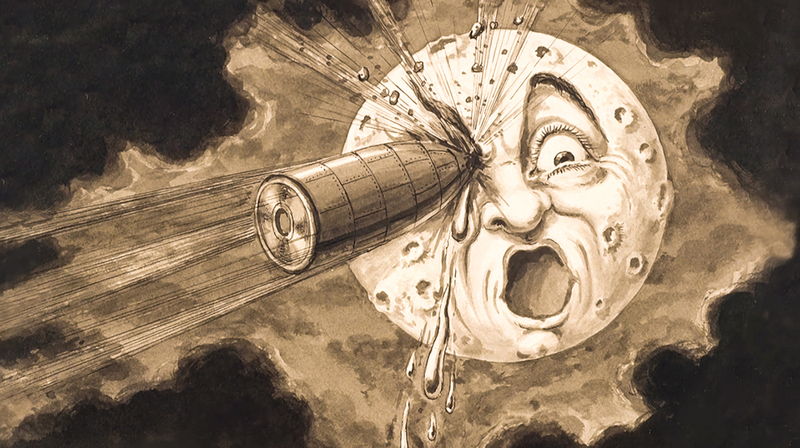 The tone of Méliès's film mirrors that of Jacques Offenbach's A Trip to the Moon operatic parody of Verne's novels while the structure of the film follows that of an attraction at the 1901 Pan-American Exposition in New York. A Trip to the Moon was a success because it summarized ideas already popular in culture and presented them in a stunning new way. That's why films like Planet Of The Apes, Star Wars, Back To The Future, and The Matrix were so popular while 2001: A Space Odyssey and Donnie Darko were appreciated by people who had watched a lot of science fiction. People like watching movies where the hero wins, appreciate films that make us think, and feel enriched by stories that make us ask big questions. What makes the science fiction film genre so amazing is that it’s capable of achieving all of these goals in one story. A Trip to the Moon wasn't just an enjoyable experience; it made audiences reflect on the possibilities of spaceflight and dream of what would happen if we met an alien life form. You can connect the dots between this film and the Apollo 11 moon landing. Celebrating a successful return to Earth. 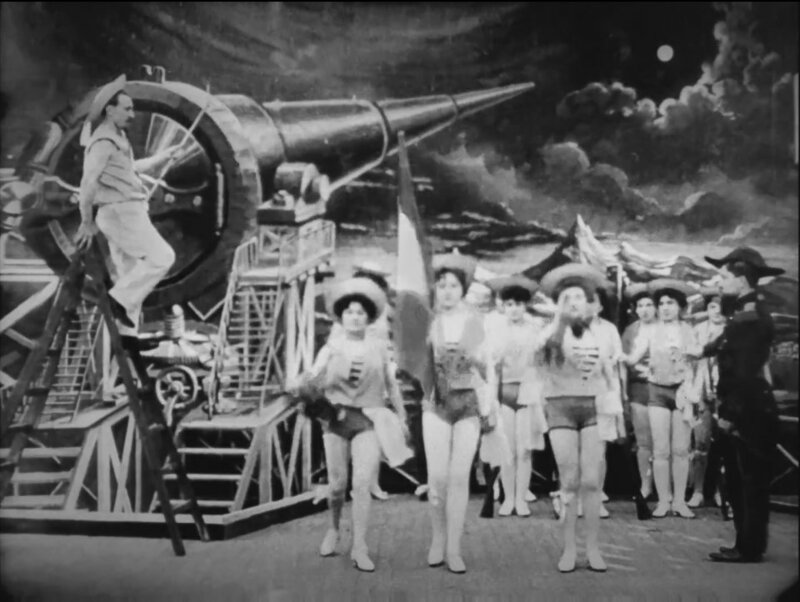 As films evolved, Méliès couldn't adapt to new cinematography techniques and quit the medium. Martin Scorsese does a great job telling the story of what happened next in Hugo. Most of us now get exposed to Méliès's work through pop culture references (like the beautiful homage in The Smashing Pumpkins Tonight, Tonight music video) or in film classes. But the core elements of all modern science fiction films, exploration of the unknown, futuristic technologies, new life forms, social commentary, and state of the art special effects were all brought to life for the first time in A Trip to the Moon. It is the foundational work of art that made all future science fiction films possible. View the film in its entirely below.